Analyst power-house, Gartner Inc., has released their 2018 Magic Quadrant for Cloud ERP for Product-Centric Midsize Enterprises. Available here, this is Gartner’s first Magic Quadrant for cloud ERP suites for product-centric companies. At present, it covers midsize enterprises (those with annual revenue of between $50 million and $1 billion) across all regions of the world, because it is these organizations that have led adoption of public cloud ERP solutions. Paired with the Market Guide for Cloud ERP for Product-Centric Companies, these are the premier report in the marketplace in which ERP leaders, along with distribution and manufacturing companies, base many of their yearly initiatives and purchasing decisions on Gartner’s advice. Keep in mind: Gartner’s assessment of product-centric ERP solutions is likely to change year by year as the products and the market mature. As defined by Gartner, product-centric cloud ERP solutions are defined as ERP tools for enterprises that physically manufacture, sell and/or distribute products. A product-centric cloud ERP suite provides some or all of the following: operational ERP functionality, financial management, purchasing, HCM, and specialized industry-specific modules or applications (enterprise asset management (EAM), configure-to-order (CTO), make-to-order (MTO), product life cycle management (PLM) and field service management (FSM). According to the report, this new Magic Quadrant represents the current market reality – focusing purely on cloud ERP suites that are sold, marketed and delivered as cloud services. It evaluates vendors on the capabilities of their cloud ERP suites, as well as their ability to market and sell these solutions to, and implement and support them for, product-centric organizations. 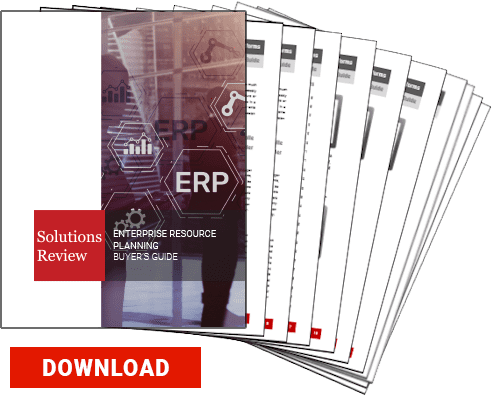 The report highlights 14 vendors that it considers most significant in the cloud ERP market and provides readers with a graph (the Magic Quadrant) plotting the vendors based on their ability to execute and their completeness of vision. That graph is divided into four quadrants: niche players, challengers, visionaries, and leaders. Gartner does not endorse any vendor, product, or service depicted in its research publications. Included in this year’s Magic Quadrant is: Acumatica, Epicor Software (Epicor ERP), Infor (CloudSuite Industrial), Infor (CloudSuites (LN)), Infor (CloudSuites (M3)), IQMS, Microsoft (Dynamics 365), Oracle (NetSuite ERP), Oracle (Oracle ERP Cloud), Plex, QAD, Ramco Systems, Rootstock Software, and SAP (Business ByDesign). According to Gartner, ERP represents the single largest category of enterprise software spending, at $37.3 billion in 2018. Gartner forecasts that this figure will grow at an annual rate of 6.8% through 2022 on a constant currency basis. The ERP market is undergoing a generational technology shift, driven by the advent of cloud computing. SaaS adoption has varied across the different segments of ERP, but four cloud-native providers were among the top 10 in ERP market share in 2015, and, over the past five years, SaaS ERP revenue growth has exceeded 25% per annum. By 2020, nearly 60% of large enterprises with systems up for replacement will switch from traditional on-premises licenses to cloud deployments. By 2025, demand for operational ERP deployments delivered as cloud services will account for more than 65% of total market spending. Download Gartner’s 2018 Magic Quadrant for Cloud ERP for Product-Centric Midsize Enterprises. Previous Previous post: Enterprise Software for Distributors: Is There a Perfect Fit?